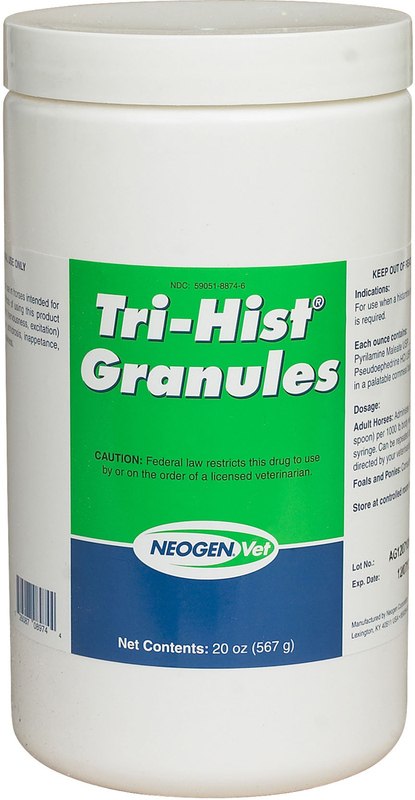 Tri-Hist Granules are used as an antihistamine and decongestant for horses. Tri-Hist Granules are used as an antihistamine and decongestant for horses. Tri-Hist Granules contain pyrilamine maleate and pseudophedrine HCl. Each oz of Tri-Hist Granules contains 600 mg pyrilamine maleate and 600 mg pseudophedrine HCl.